One of the most important processes of building a home is designing the floor plan since it determines how well the people will live in the house. Get it wrong, and the homeowners might feel congested inside their very homes. 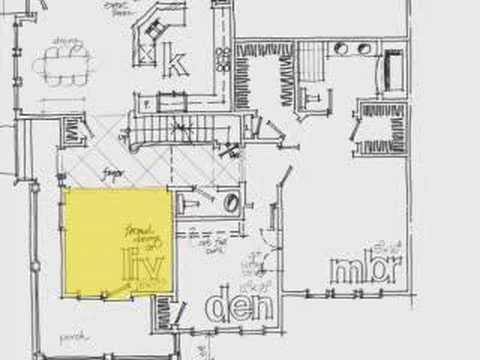 Below we will look at seven tips that can help you design floor plans in a better way. Innovative floor plan designs may look good at first, but remember that practicality is what will make the home something worth to live in. Never go overboard with the design, trying to create a unique floor plan. Focus on something comfortable with a touch of style. Every room of the floor plan must be placed at a location where it can perform its function the best. For example, if you are planning a guest bathroom, then consider designing one very near to the entrance. This will make it easy for the guests to go directly into the bathroom when they enter your home. Be very vigilant when you are measuring n existing room. Put down your measuring tape on the surface of the room and accurately check the dimensions. It is recommended that you double check the figures to make sure that the measurements are accurate. This is especially true in tight places where a difference of just a few inches can have a terrible impact. And above all, always check whether the walls are parallel or not. If parallel, then the floor dimensions need only be taken from one spot. Otherwise, you will have to take multiple measurements to accurately layout the floor plan. Always take into account the people who will be living in the home once it is completed. This will enable you to structure the floor plan more usefully. For example, suppose that you are designing a floor plan for a family consisting of a grandparent, two parents, and two kids. You might initially think of setting up a bathroom at the backend of the home. But if you do that, then the grandfather will have to walk all the way to the back. And considering their age, it might be too tough on them. So, set up a bathroom close to the living room of the grandfather. If you are renovating your home and you are tight on budget, then focus on improving just a part of your home rather than wanting to overhaul it completely. You should also take this into consideration when designing the floor plan. So, design it in such a way that it can easily be expanded upon. Think of all the improvements you wish to make to your home, then identify those you can afford to do right now, and then create the floor plan keeping all these factors in mind. This way, you can keep your renovations within your budget and improve the home little by little. Keep in mind the direction of the sunrise and sunset when designing the floor plan. This is especially important for bedrooms and living rooms. If you are the type of person who likes to have the sunrays on your face the first thing in the morning while still on bed or want to watch the sunsets in the late evenings while lazing on the bed, then tell the floor plan service to place the bedroom in the direction of sun as per your preference. When including furniture in the floor plan, keep in mind the position of electric switches, receptacles, and so on. The position of furniture also needs to be taken into account depending on your needs. For example, if you are placing a desk in your private study, then decide where you want to face when using the desk. Plus, also remember to consider the walkaway space between the furniture and the wall. Typically, this should be around 30 to 36 inches. It is also recommended that you avoid placing all the furniture right along the wall. Instead, split up the positions and space them out at angles to avoid a rigid atmosphere in the room. Old homes often have small rooms. And the many walls of the house can make it seem too small and restricted. So, if you are renovating the home, then make sure to look for opportunities where you can break the walls and expand the rooms. Check the floor plans and try to make the renovated spaces as functional as possible and modern in their layout. As a bonus, you will also be able to get more light into the rooms as the walls are broken.